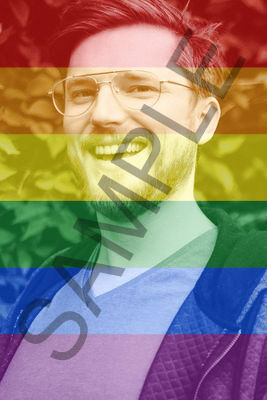 Show your support by adding the rainbow flag to your photos! When the rainbow flag is in place, just save the photo and use it where you please - then ask your friends to do the same! Fly the rainbow flag! © 2015, 2016, 2017 Joel Purra. Released under the AGPL-3.0 License. The rainbow flag is public domain. Your photos belong to you, but by uploading them to the service you give your consent to fly-the-rainbow-flag.com to store and manipulate them. Background photo by Ludovic Bertron, CC-BY 2.0.